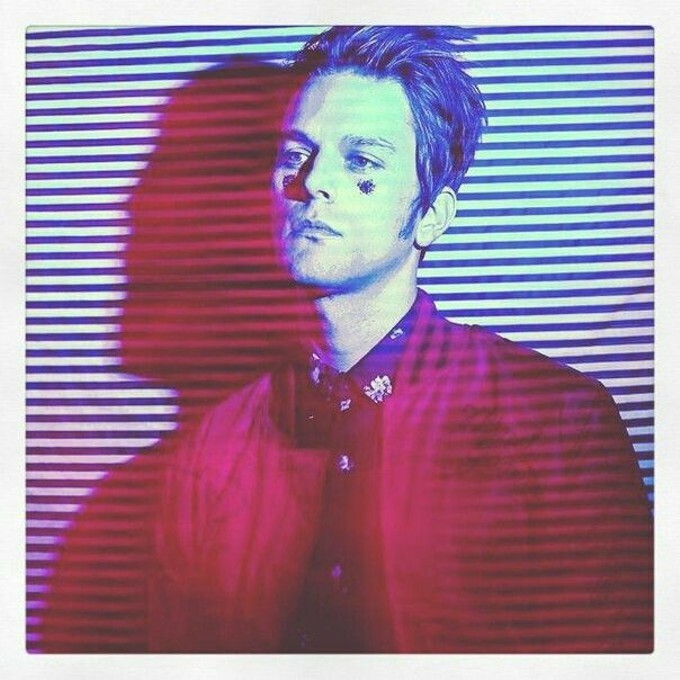 Singer/songwriter/musician Dallon Weekes began demoing songs on downtime, during his years spent touring as a member of Panic! at the Disco, with no particular end. After enlisting former bandmate Ryan Seaman (The Brobecks) to lay down fierce drum tracks on what would become double A-side single "Choke" and "Do It All the Time"—accruing a staggering 5.7 million YouTube hits and 5.3 million Spotify streams—I Don't Know How But They Found Me was born. XOXO caught up with Weekes for a brief Q&A. How does iDKHOW differ from your previous projects The Brobecks and Panic! at the Disco? The Brobecks never really had the opportunity to be successful. Which is fine. I feel like everything played out the way it was supposed to. I was impressed at how full iDKHOW's live sound is. How do two guys create such a big sound? Backing tracks help us bulk everything up during a live show. We hope to be able to add some more live musicians in the future, but for now, keeping things inexpensive is the name of the game. I love "Choke." What was the inspiration behind the passive-aggressive lyrics? "Choke" was inspired by the toxic aspects of L.A./entertainment business culture. As for the passive aggressiveness, I think I just have a knack for it. I feel like it's better than actually being aggressive/violent. Now that the new EP, 1981 (Fearless Records), is out what is on the horizon for iDKHOW? More shows and more songs... We can't wait for either!